Jahrb. Deutsch. Kakteen-Ges. i. 104 (1936); et in Blatter Kakteenforsch. 1937,No. 8, p. . 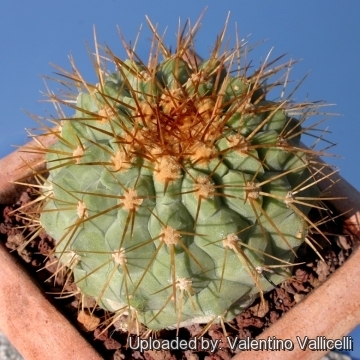 Accepted Scientific Name: Copiapoa haseltoniana Backeb. Descr. Cact. Nov. 33 (1957). Backeb. Habitat: It grows among rocks and gravel in a scattered population at low altitude (between 100 and 1300 m over sea level) in areas where very little else grows. As it is common in this coastal desert climate the rain-falls are extremely scarce, often it doesn't rain at all for many years. It's a very drought tolerant species. But the extreme aridity is attenuated by the frequent, often dense, early morning costal fog (the humidity of the ocean furnish part of the water needed by this plants). By the middle of the morning however, the fog cover dissipate and sun breaking through the gaps warming the ground. The nocturnal condensation is also an important and conspicuous source of humidity, that (especially in winter) may wet the ground down to 2 cm in depth. 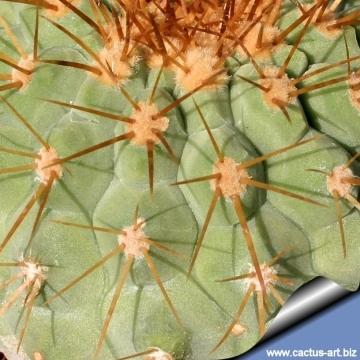 The root system of the copiapoas is sallow and allows them to uptake the maximum of this humidity. 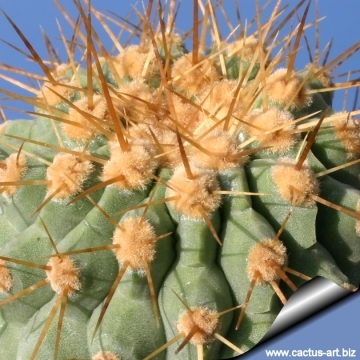 Copiapoa cinerea subs. gigantea (Backeb.) Mereg. Descr. Cact. Nov. 33 (1957). 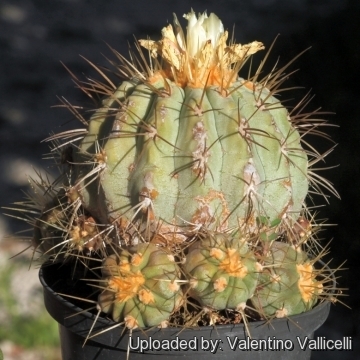 Copiapoa cinerea var. eremophila (F.Ritter) A.E.Hoffm. Copiapoa gigantea f. albispina hort. Copiapoa cinerea var. tenebrosa (F.Ritter) A.E.Hoffm. Description: It is a large sized often elongated and columnar plant slowly branching from the base, forming large, open clumps with (usually) few individual stems. 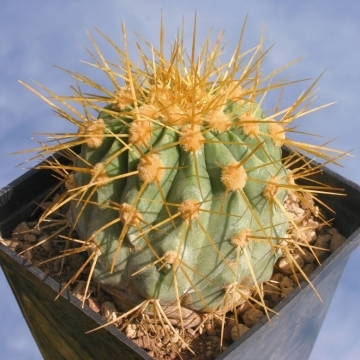 Copiapoa gigantea has the largest and stouter individual stems among the member of the Copiapoa cinerea complex. Stem: Globose to cylindrical, up to 1 m (or more) high, 20-30 cm across, pale olive-green, grey-green or ash-grey, the apex is very spiny, covered with reddish, orangish or yellowish-brown wool. The whitish-grey coloration is a waxy coating presumably to prevent desiccation in it's extremely dry environment. In cultivation the white waxy bloom is often not produced, revealing a brownish epidermis. Ribs: 14-22(-37), rounded, broad, obtuse, wavy, almost straight, thickened at areoles (tuberculate), becoming flattened. The ribs in the younger specimen have very geometric and conspicuous tubercles, typically with a hexagonal base. Areoles: Up to 18 mm in diameter, orangish, fading in grey as they become older. Radial spines: Up to 7, about 1-2 (or more) cm long horny-yellow to orange coloured, terete, tipped darker, spreading, straight or slightly curved. Flowers: Yellow funnelform, 1,5 to 2,5 cm in diameter. The Ovary is naked; it needs a lot of sunlight to bloom, so it's pretty rare to have blossoms when in cultivation in greenhouses. Fruit: 1,5 to 2 cm long. Copiapoa eremophila F.Ritter: is a densely spined form with very distinctive yellow-brown spines, later almost black found only on the high altitude range of the species. Distribution: Paposo. Copiapoa gigantea Backeb. : has the largest and stouter individual stems among the member of the Copiapoa haseltoniana group. Distribution: of Taltal to north of Paposo. Copiapoa gigantea f. albispina hort. : it is a white spined clone is quite unusual and rarely seen in cultivation. 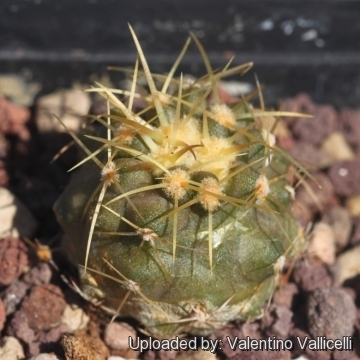 Copiapoa tenebrosa F.Ritter: It shows the characters of haseltoniana, but it is probably an hybrid with thinner and lesser evident spines and green to grey epidermis. The form of Q. San Ramon is particularly beautiful with orange wool with yellowish-white spines. 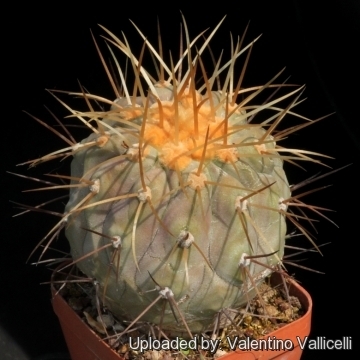 Copiapoa tenebrosa f. cristata: Crested form. 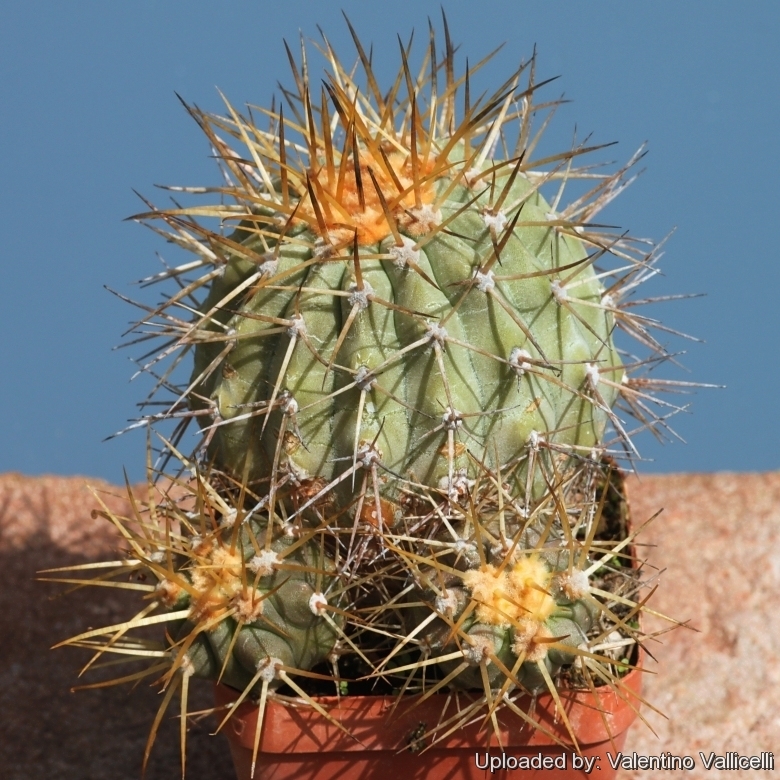 Notes: Copiapoa gigantea is a controversial taxon related to Copiapoa cinerea, but with thicker stem diameter and with thinner, needle-like spines and often indicated as a synonym of Copiapoa cinerea var. haseltoniana. Nevertheless C. gigantea may be distinguished from Copiapoa haseltoniana by the shorter more numerous 'orange' coloured spines and less wool (But the habitat areas of these two species overlap and some authors believe that they are the same, hence synonyms). This plant is indeed quite variable even in the same population, as is demonstrated by the number of synonyms. The several classifications and reclassifications provide evidence of the confusion that rules regarding the names used in this variable species. 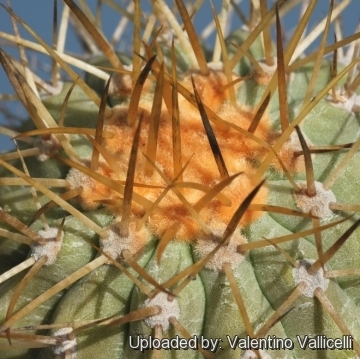 It seems that many of botanists and hobbyists who have studied Copiapoa in habitat have formed their own concepts of what names should be applied to which plants. It is relatively easy to attribute some key features that dominate in certain populations, but it is equally possible to look more closely at plants in these populations, to find individuals that 'break the rules' and would easily fit another population's dominant characteristics. 4) Nathaniel Lord Britton, Joseph Nelson Rose “Cactaceae: Descriptions and Illustrations of Plants of the Cactus Family” Courier Dover Publications, 1923. Propagation: Seeds (or offsets if available), Grafting is often used to speed growth rate and to create a back-up to plants in collection.